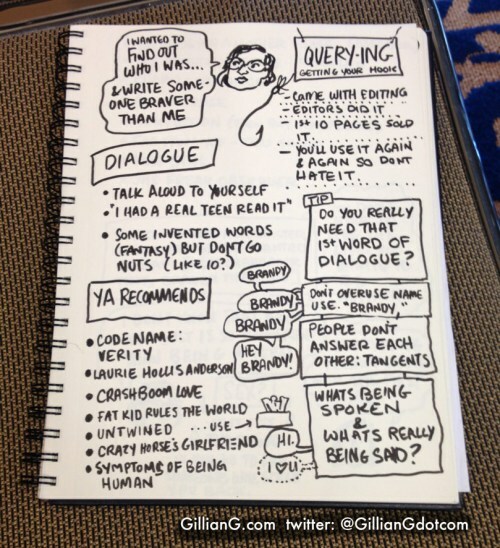 Gillian G., a very talented illustrator, did these while watching our panel. I can’t believe someone can do that — amazing. Her link is at the end. 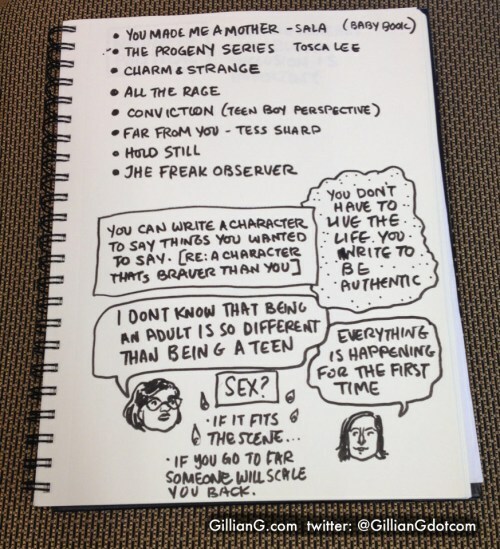 I purposely left off any reference to Callie’s hair color so readers could imagine themselves in her shoes. But I intentionally wanted to make the rental bodies diverse, so I had Raj, Briona and Lee. Our selfie after it was over. 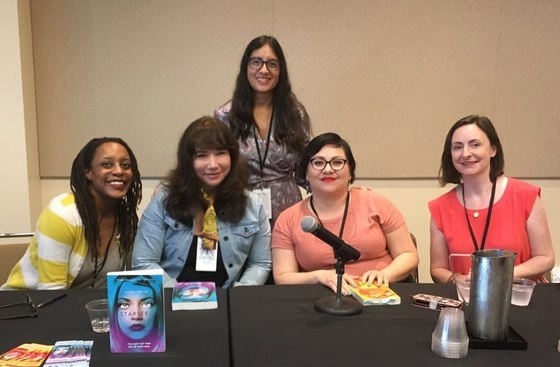 We all agreed this was a special panel – we all clicked so well. 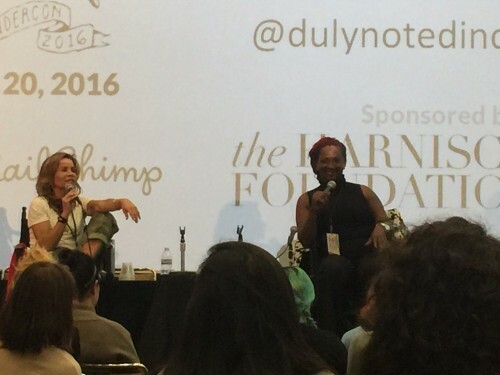 The last keynote with firecracker Jenny Lumet and warm and funny Effie Brown. 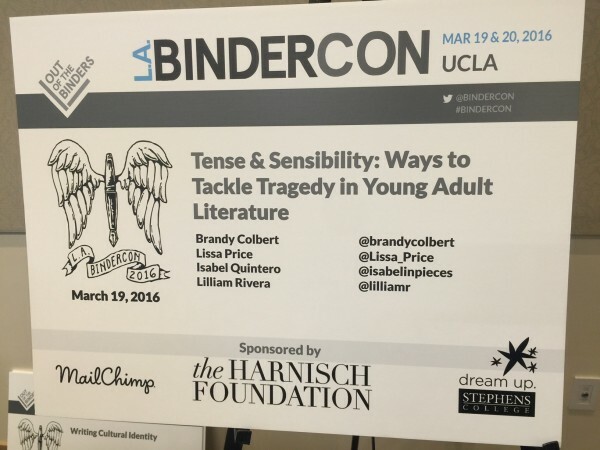 Bindercon is quite amazing. If you don’t have the funds to come, write them and apply for a scholarship, even if you’re working. 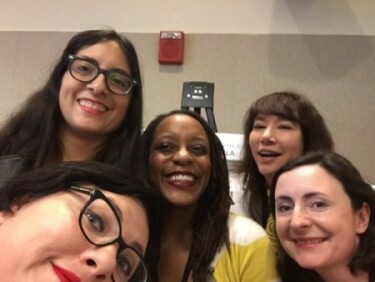 I met some terrific scholarship attendees. Signed copies of Starters and Enders are at Stories Books and Cafe in Echo Park. Check them out, have a cappuccino and browse books. 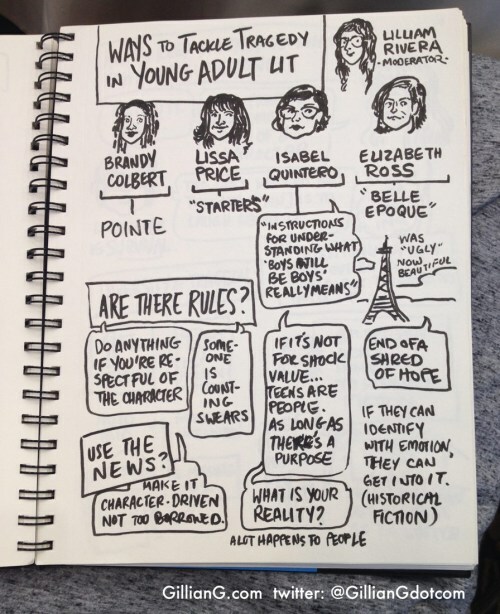 Treasure every bookstore. 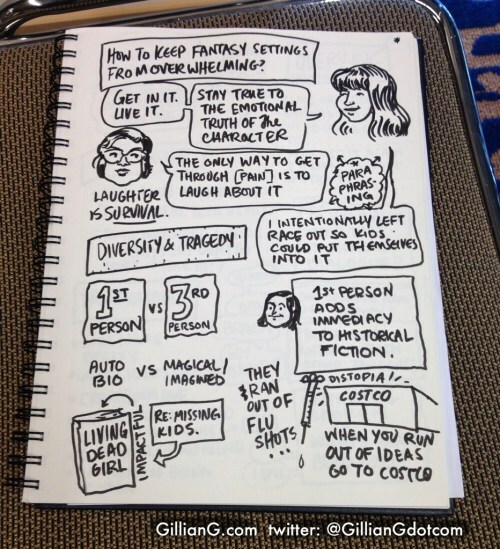 And see Gillian G.’s clever graphic notes for more Bindercon keynotes and panels here.